Venice Free Walking Tours are organized by Professional Guides and Tour Leaders. We encourage sustainable tourism, support local businesses, local culture and traditions. Each tour is both fun and educational, the perfect introduction to this fascinating city! Why do you offer free tours? Why do you do it? How do you get funded? 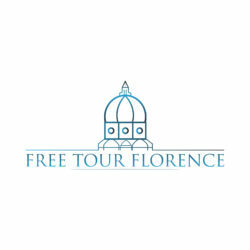 The Venice Free Walking Tours are performed by professionals who love Venice. We would like to give a warm welcome to everyone who decides to visit our city. We are open and curious people that enjoy meeting new friends from all over the world. We think that everyone should be permitted to take a guided tour for a price they feel it was worth – even free if you don’t enjoy the tour. Maybe it’s not obvious to everybody, but we manage to keep offering you our tours only because of your donations. At the end of the tour each one of you is free to decide the price and the value of this tour for yourself. All our guides are freelance professionals and these free tours are part of their job, that’s why they pay regular taxes on your donations. We all live in Venice and we will tell you things about Venice that you cannot find in most common travel books. All our guides have a degree in different disciplines – Art History, Architecture, Sociology, Economics, Foreign Languages and each of us has a different perspective, different guiding style, different route and personality! One thing that we have in common – passion for this special place and willingness to share it with you. We know plenty about Venice history, culture, local traditions and we can help you with any general or practical questions you have regarding your stay in our city. Where will you take me? Each guide has a different route because each one of us has different approach to the city, that’s why there is no list of places that you will see – each guide will take you on a different route and there is no way to know the route in advance – take the adventure! If you would like to book more than one tour, please contact us in advance and we will let you know if the guide for the tours of your interest are the same or different. Our Free Walking Tour will allow you to know the authentic face of Venice, a sightseeing walk through narrow streets and canals, beautiful squares with their palaces, wells and churches. We will help you to know areas of Venice less frequented by the bustle of tourists and more authentic in contrast of the classic tourist routes. Please kindly note that we do not include St. Mark’s square and Rialto Bridge in our routes, just in the night tour. Please keep this into consideration to plan your time in Venice at best! We highly recommend participating at this tour on your first day here, to have many useful hints about what to do and what to see after the tour and some precious tips that will help you to feel like a local while in Venice! Do the tours end where they start? No. Each tour ends at a different location. What if I am coming with a bigger group (6+ people)? Our tours have been created for single travellers, couples and small families. We are not allowed to accept groups bigger than 6 on legal basis. Please do not try and book for a big group with different names because this might cause problems both for you and the guide. Moreover, if you do it, the guide will not accept your group anyway. 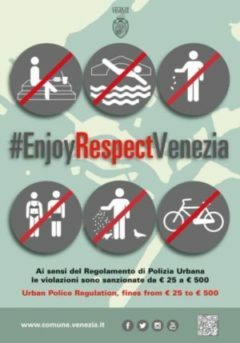 Please kindly note that there are lots of other Free Tours in Venice that will not have problems accepting you. Yes, booking is necessary. Reservations help us determine the number of guides we need to ensure that our groups remain manageable and enjoyable, and they allow us to notify you of changes to the tour due to weather or anything that could disturb the tours. Groups of 6 or more MUST contact us before reserving. Walk-up guests for these tours will be admitted if space is available. I cannot book the tour because the date isn’t scheduled on the calendar, what does it mean? If the date is not on the calendar the tour is either sold out or it’s not scheduled. If the date you cannot book is within one month, please book the next available tour – the tour is fully booked or there will be no tour on that day. Usually we schedule the tours about 60 days before they will be performed. Please check on our website a few weeks before the tour of your interest. What if I have to leave before the end? We highly recommend you to stay until the very end, therefore please choose the time slot of the tour that will fit perfectly into your time schedule. Are Venice Free Walking Tours guided in English? Venice Free Walking Tour is guided only in English and it is oriented towards advanced level English speakers and our guides speak quite fast. It’s necessary to have this level of English to participate because some of our tours are interactive. Is Venice Free Walking Tours available also in Spanish? – Hay un tour en espanol? Venice Free walking tour esta solamente en inglés y está pensado para personas con un nivel avanzado de comprensión de ingles, porque el guia habla muy rápido. Para participar al tour es necesario tener un nivel avanzado de ingles porque muchos tour son interactivos. Por gran parte del tour el guia hablará y si no conoces bien el idioma inglés no vale la pena pasar mas de tres horas así. Average lenght of our tours is about three hours, but just like the route, please consider our tours as an artesan product – each tour will be different, because it might take less if there is no intermediate stop or it might take even longer, if our guests have many questions or have some walking problems. Please inform your guide at the check in if you have any particular necessities. Do you stop for any breaks? Some of our guides have planned stops during the tour. If you have any particular necessities, please let your guide know about that before you start the tour. How to find the MEETING POINT? On your booking confirmation you will find a map and a description of the meeting point. Please note that Venice Free Walking Tour have many different starting points at different times, please double check your booking confirmation to find yourself in the right place at the right time! We highly recommend you to consult Google maps and even to print it to avoid getting lost. Please consult your concierge or Google Maps if you are reaching the meeting point from other areas. If you are asking information on how to reach the meeting point in your hotel, please specify the name of the square (Campo) which is indicated as your meeting point. It has happened in the past that some people have been mislead by the concierge, and they have been indicated completely different area and, as a consequence have missed the tour. From the cruise ship port you might use two ways to reach Venice: shuttle provided by the cruise ship company or the People Mover. Reaching Venice by shuttle you will arrive near St. Mark’s square. On the People Mover you will arrive to Piazzale Roma. Once you know how you will reach Venice, please put the Meeting point GPS coordinates on Google maps (you will find them on your booking confirmation) and then type Piazzale Roma or Piazza San Marco (St. Mark’s square). Please add some time to the amount of time indicated on Google Maps because in summer time Venice might be really crowded. You might save the itinerary on your phone or tablet or print it out. What if I am late for the tour? Please, please, please be on time. You have to reach the meeting point 10 minutes before the tour starts to complete the check in procedures because the tour will start on exact time. We also recommend checking with your concierge or online (google maps) how much time you need to make it to the tour on time and allow some extra buffer time, because it’s really easy to get lost in Venice. In case you still miss us, unfortunately there is no possibility to join the group later. Please note that if you will arrive late, the guides will not be able to accept you anymore even if you have a booking. I have changed my mind and cannot come to the tour. Do I have to let you know? Yes! You can cancel your booking directly through the Eventbrite link on your booking confirmation email. Otherwise please give us at least a 24-hour notice before your tour starts, because very often our tours are fully booked and other potential participants cannot book it, as we limit number of people who can attend the tour to provide you the highest quality tours. PLEASE REMEMBER: if you have booked more than one tour and you don’t show up at the first one and do not warn us in time, all your further bookings will be automatically cancelled. The total distance that we cover is about 3 km (2 miles), but you should be prepared for a walking tour. As long as they can keep up with the group, they are more than welcome. Unfortunately Venice is not very wheelchair-friendly, either – lots of bridges and narrow streets. Please keep in mind that we will cross many bridges that are not wheelchair – accessible during the tour. Only the tour from St. Mark’s Square is wheel cheir accessible. Are you scared of a few drops of rain? We are not. The show must go on! Snow or shine we will be there waiting for you. Please dress appropriately for the conditions = really warm clothes in winter season & protection from the humidity in case of rain or flooding. Comfortable walking shoes are recommended. However, Free Walking Tours may cancel or postpone the tour due to extreme weather. Please contact us or check our website for updates.